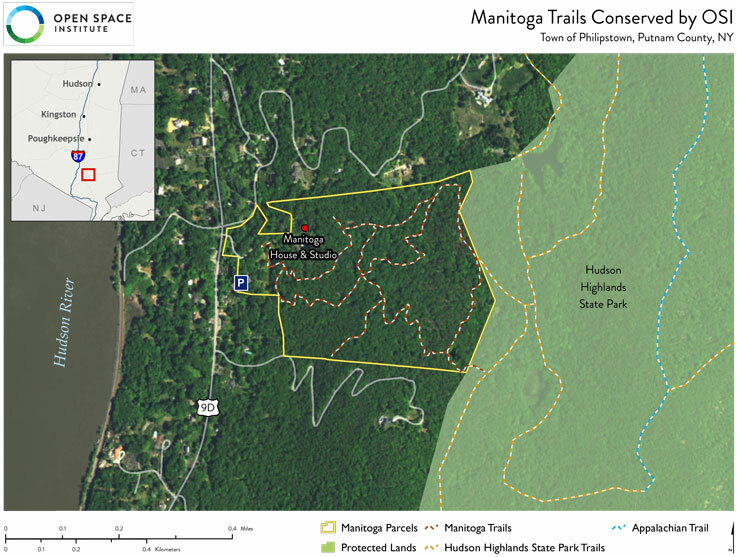 In July 2016, Manitoga and Open Space Institute entered an agreement to assure permanent public access to Manitoga's scenic footpaths while protecting a key access point to the Appalachian Trail, through the adjacent Hudson Highlands State Park. Designed by famed mid-century designer Russel Wright, the woodland trail network passes by forest, rocky outcroppings, woodland streams and a small pond, with stunning views of the Hudson Valley. The newly-conserved trail network now joins a considerable stretch of land conserved by OSI near Hudson Highlands State Park, including Philipstown Park, Philipse Brook Gorge, and the Garrison Institute. "The conservation of Russel Wright's heritage trails at Manitoga permanently protects one of the Hudson Valley's most notable and beloved cultural and recreational offerings, and is a fitting tribute to Wright's vision of natural preservation and inspiration he took from the world around him," said Kim Elliman, OSI's President and CEO. "We thank Manitoga, Inc., for their partnership and dedication to safeguarding this artistic and environmental legacy for future generations." "One of Wright's great wishes for Manitoga was to inspire in all Americans an intimacy with nature," states Executive Director Allison Cross. "We are grateful that our collaboration with OSI allows us to preserve our trails and share this enduring vision of design in harmony with nature for all time." Wright designed Manitoga's trails to begin adjacent the House. 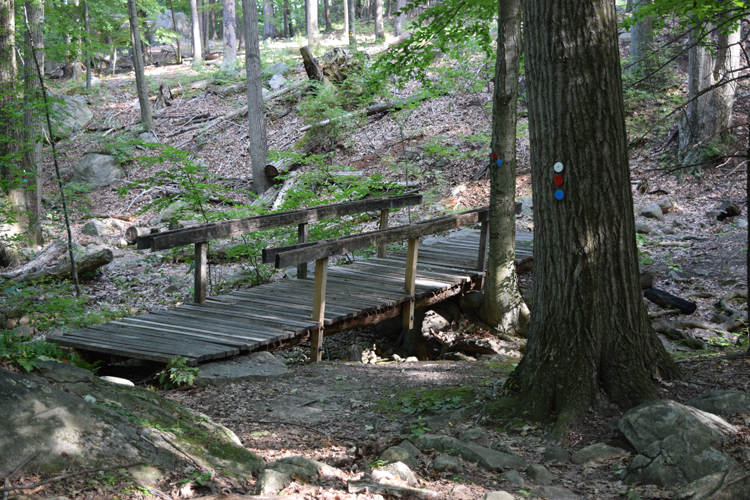 The footpaths offer opportunities for moderate loop hikes of varying distances on the west-facing slopes as well as access to extended hiking on the Osborn Loop Trail and Appalachian Trail in the adjacent Hudson Highlands State Park. Under the terms of the trail easement, Manitoga will continue to own, manage and maintain the trail network for the public, which will be open during daylight hours. Manitoga will continue to use the trails for tours, programs and events introducing the public to Wright's innovative artistic vision.